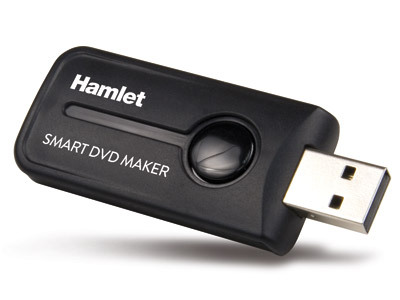 Hamlet Smart DVD Maker is the easiest way to convert your videos into DVD, Youtube or your favorite portable devices such as iPod or PSP. With Smart DVD Maker you can easily capture, edit, author and burn any videos from any video source such as DVD Player, VCD, VHS, Camcorder. Bundled with CyberLink PowerDirector 12. Advanced authoring tools improve usability and provide quicker operation. Capture Video from VHS, V8, Hi8, etc.